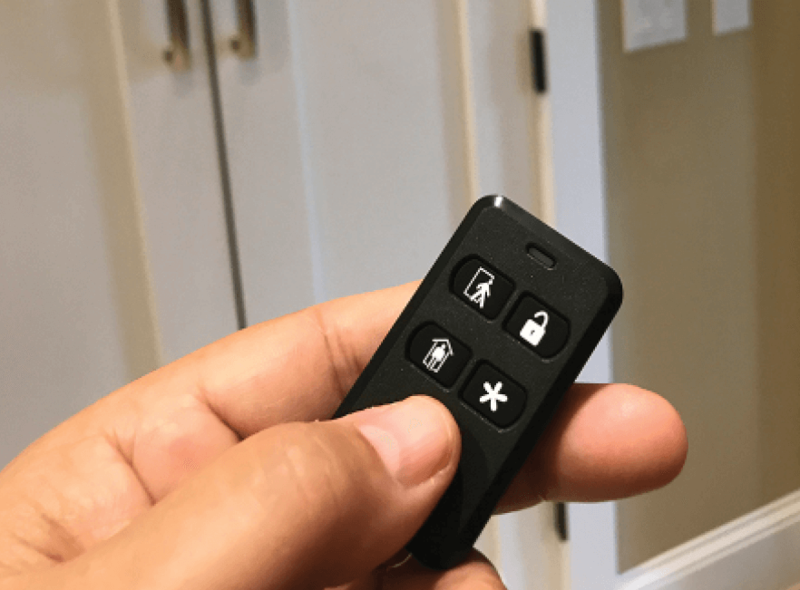 Our keychain remote makes controlling your alarm as convenient as grabbing your keys. You will be able to arm and disarm your home security from up to 100 feet away. Get a text when your system is armed or disarmed sent directly to your phone. Use a small Phillips head screwdriver to remove the screw located on the back. 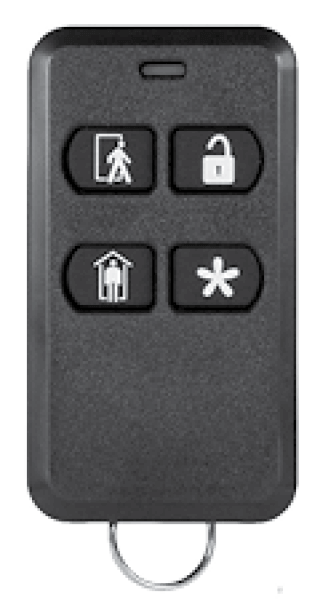 Increase the convenience of your Uxari control panel by adding an alarm keychain remote which can set the panel into stay mode, away mode, or disarm mode from up to 350 feet away. 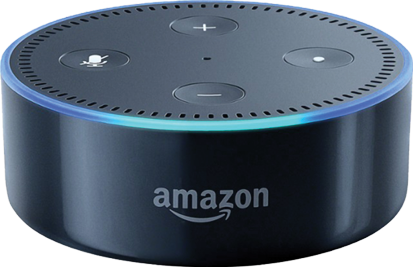 This feature makes it easy for you to quickly activate or deactivate your system as you are walking in or out of your home. 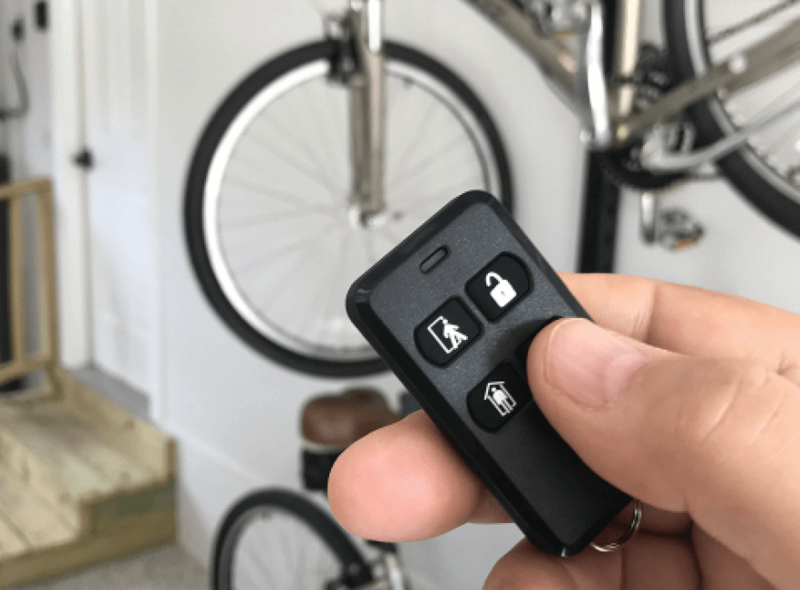 The fourth button on the keychain alarm remote is programmed to panic mode for quick activation in the event of an emergency. 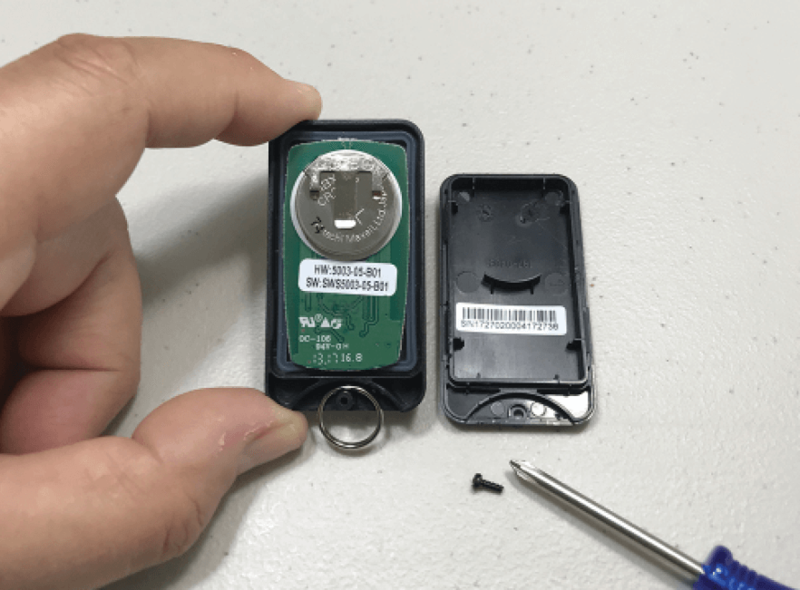 Designed to fit easily in a pocket, purse, or on a key ring and is powered by a CR2025 coin battery. "Installing the system was quick and painless, and the equipment is very good. So far, it's been a convenient service."